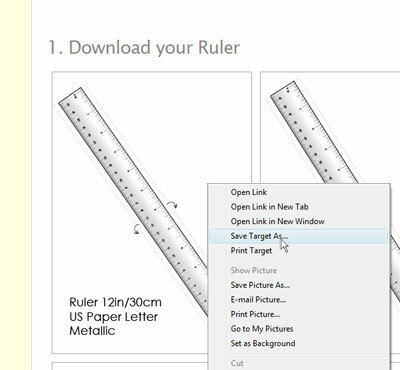 The help page of Printable-Ruler.net delivers you a step by step detailed explanation on how to configure your printer for the online ruler. For a more compact guide see the print setup on our homepage. We have tested our product on numerous printers down to the millimeter, though we cannot guarantee perfect accuracy. Notice: This guide is made for Adobe Reader 9, so it can differ slightly from your interface.